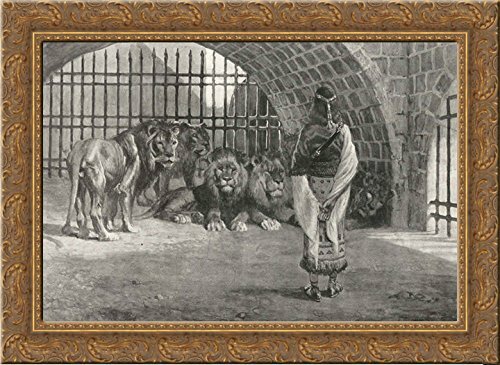 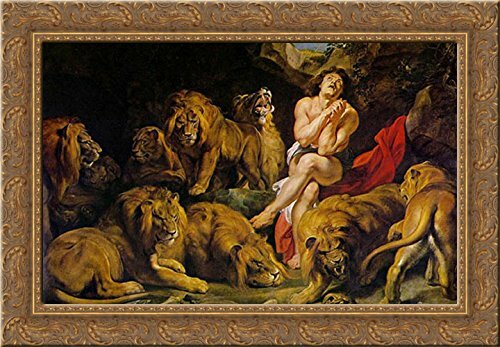 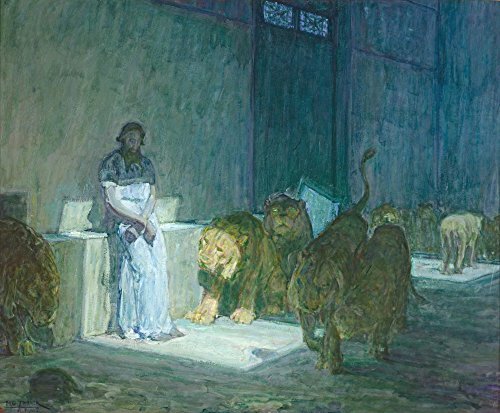 Classic Art Poster - Daniel in the Lions' Den by Henry Ossawa Tanner 11"x14"
Featuring well-loved stories from the Old and New Testament, activities include the Garden of Eden, Noah and the Ark, Baby in a Basket (Moses), Roaring Lions (Daniel), Jonah and the Whale, Baby Jesus in the Manger, Angel Gabriel, Loaves and Fishes, a Lost Lamb and Palm Leaves.Perfect for those with a creative streak eager to explore the Bible and put their skills to task on recyclable materials in the home. 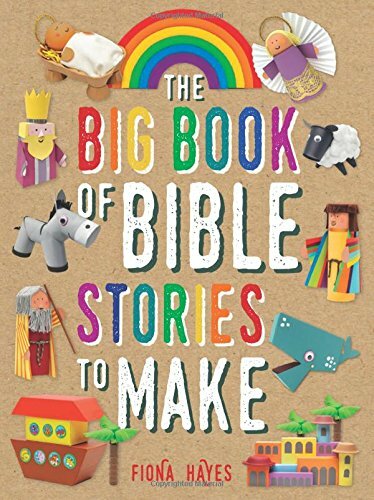 These projects feature a well-balanced mix of techniques, materials, colours and styles for a range of ages. 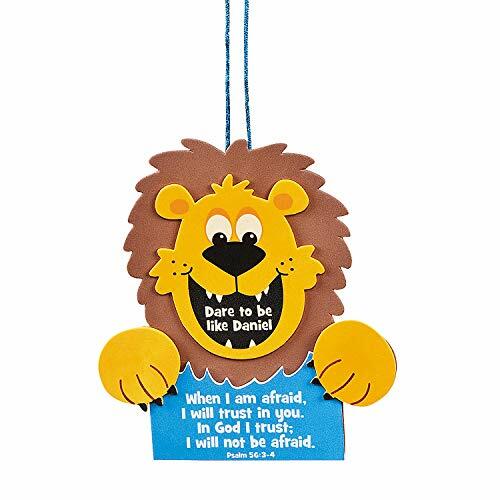 http://www.sunday-school-ideas.com/daniel-sunday-school-lesson.html Daniel in the Lions Den A cute idea for making a mask for the children to enjoy the lesson. 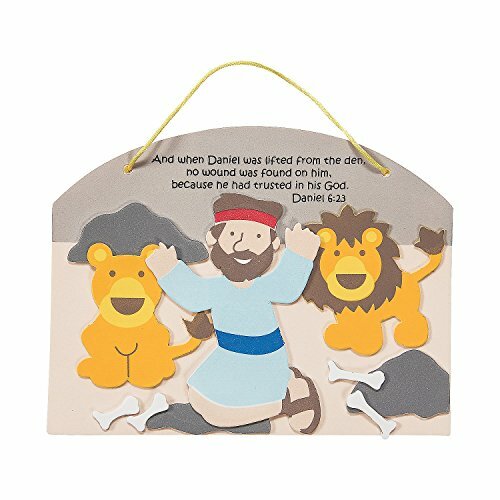 To teach the children how God saved Daniel from the Lions mouth. 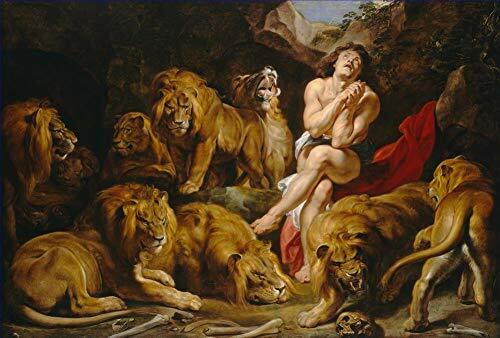 He sent his Angels to close the mouths of the Lions, and how Daniels faith in God, kept him safe and calm.